There will be no criminal action taken against Ealing's police commander under the Operation Elveden inquiry. Chief Superintendent, Andy Rowell, 51, was arrested in Wiltshire in February as part of the ongoing Metropolitan Police Investigation into alleged illegal payments by journalists to police and other officials. Mr Rowell had never been accused of receiving any money. ''A 51-year-old man who was arrested as part of Operation Elveden has been informed today, Monday 8 July, there will be no further action taken. ''The man, a serving Metropolitan Police officer in the Territorial Policing command based in west London was arrested at his home address in Wiltshire on 14 February 2013 on suspicion of misconduct in public office, contrary to Common Law. 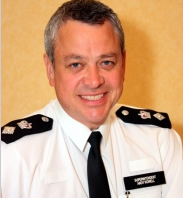 Chief Superintendent Andy Rowell began his police career in 1984 and became borough Commander in Ealing in July 2010.